Only natural ingredients from natural products indigenous to the Philippines are added to CDL Naturals Manila Castile Soap. We combined the cleaning power of Virgin Coconut Oil Soap, the exotic properties of Pili Pulp Oil Soap and the lathering effect of Palm Oil Soap in one bottle. Added with essential oils of Canarium luzonicum and Canarium ovatum natively found in the Philippines, the Elemi Manila Castile Soap is a delightful mix to surprise your senses. 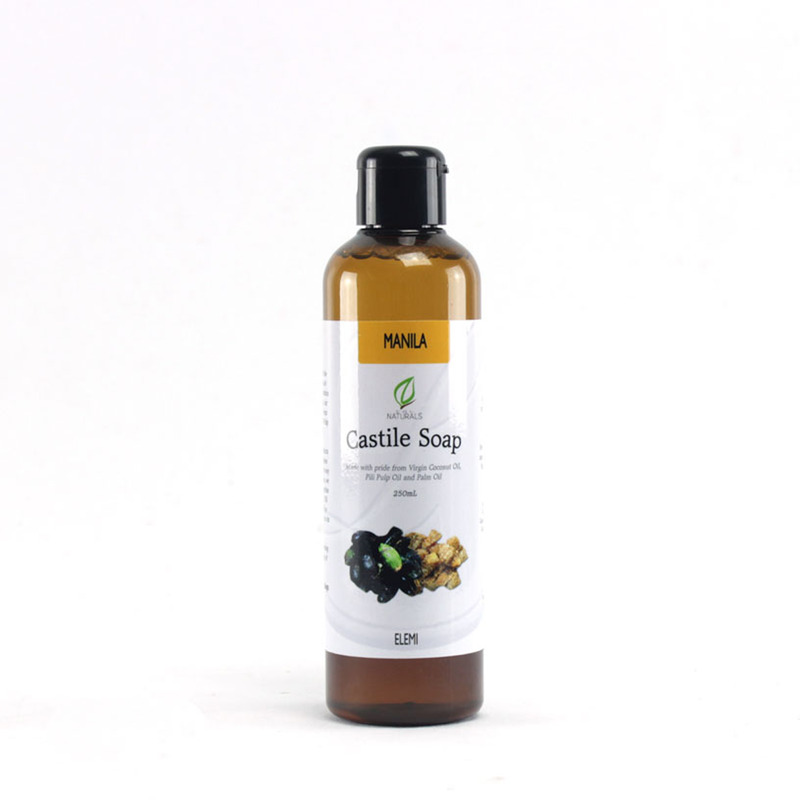 CDL Naturals Manila Castile Soap is inherently thin or watery. It is due to the natural properties of soaps made with Coconut Oil. Made-by-hand, all-natural and organic liquid castile soap from Pili Oil, Virgin Coconut Oil, Palm Oil and Elemi Essential Oil.